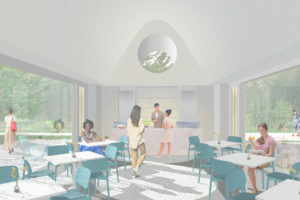 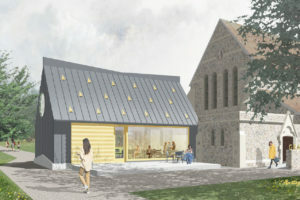 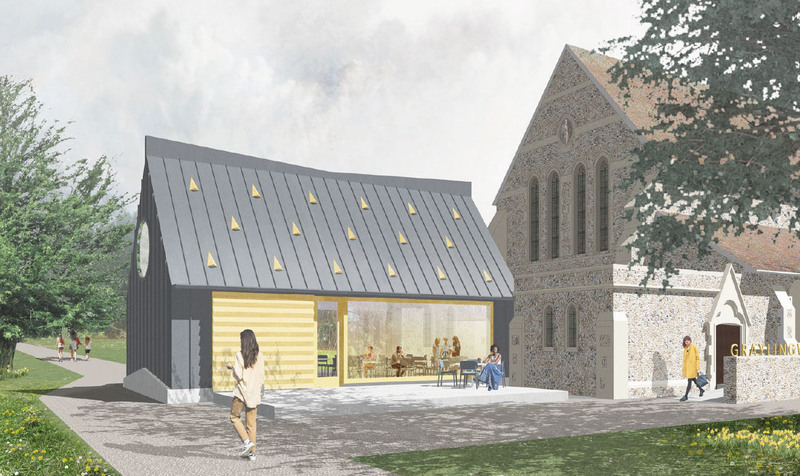 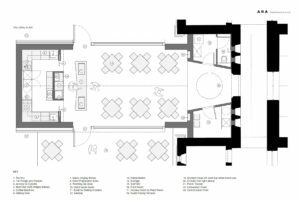 The Café will be located within an extension to the west of the chapel. 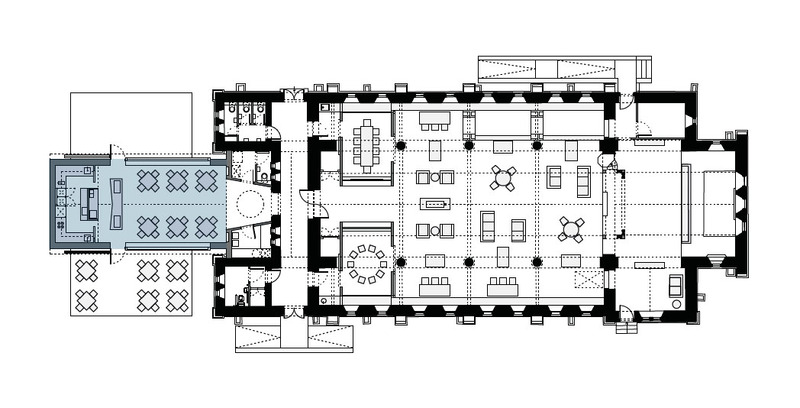 A back of house area has been included. 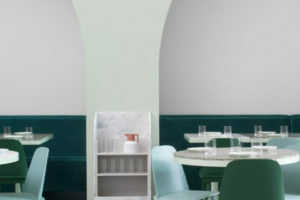 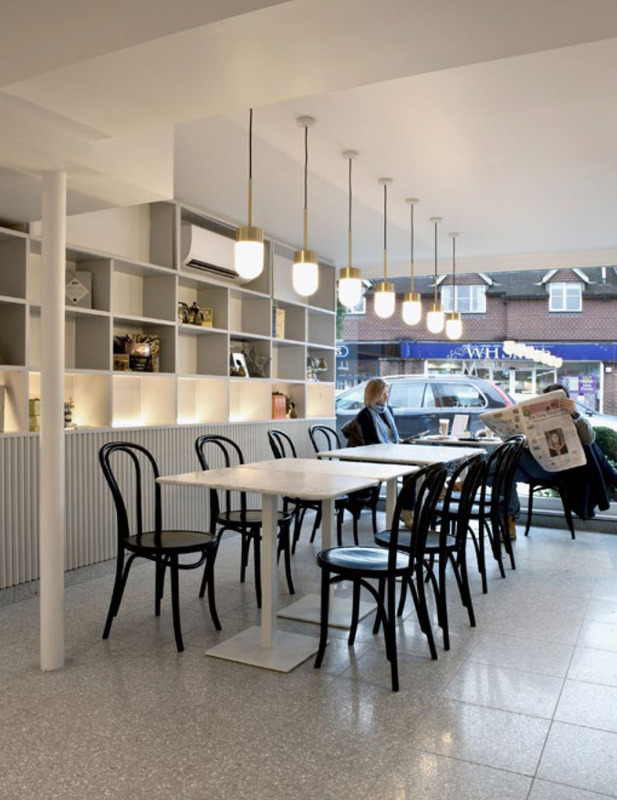 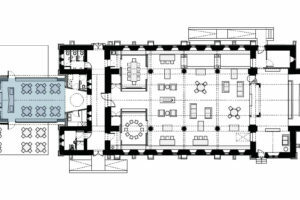 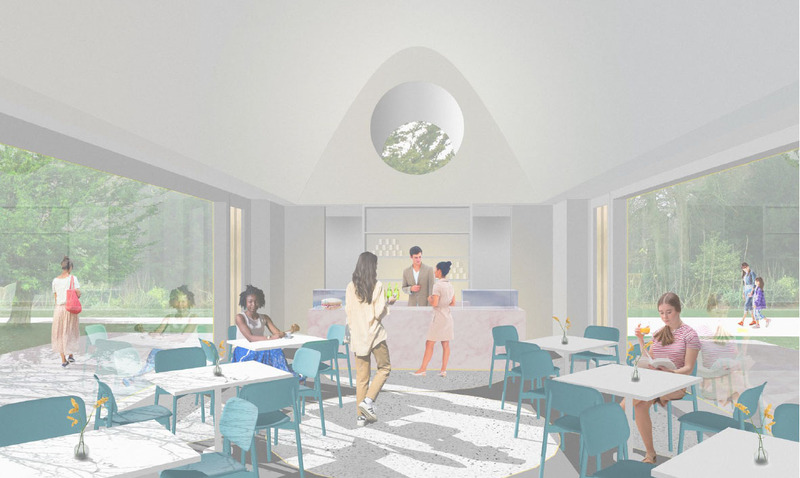 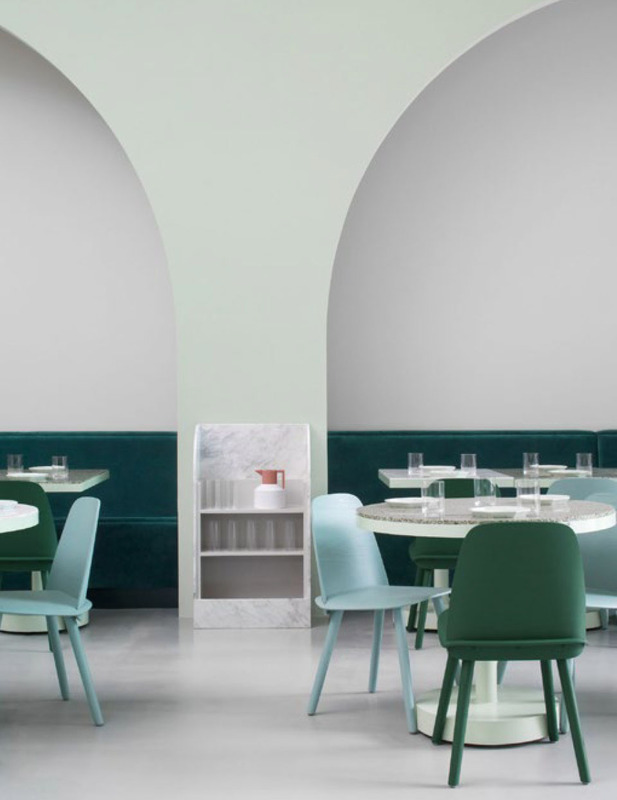 The Café and its interior have been designed to be an exciting, contemporary piece of architecture as a counterpoint to the ecclesiastical architecture of the existing building. 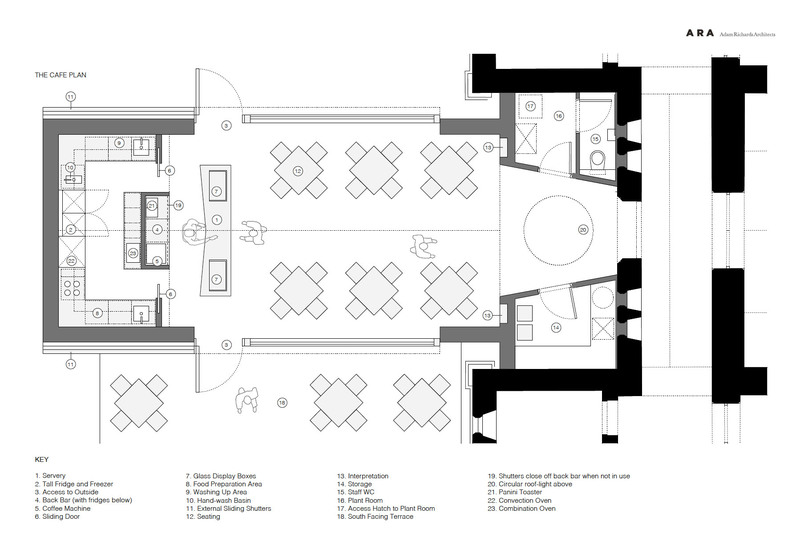 Large areas of glass to the north and south will maximise views out towards greenery in the outdoor space. 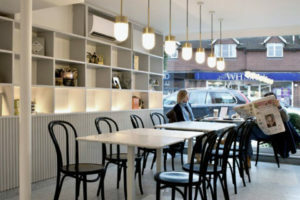 Café facilities to be capable of being shut away during closed hours.